KORPIKLAANI - KUKIJA LTD. EDIT. (DIGI) | Online Shop | Wizard LTD. Album: "KUKIJA LTD. EDIT. 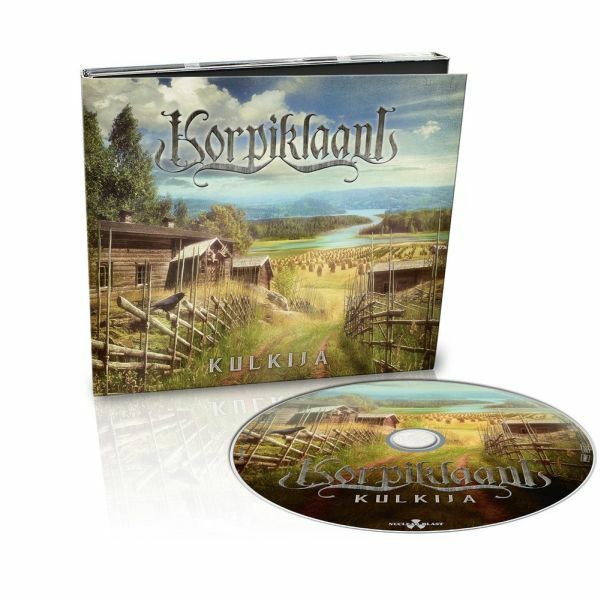 (DIGI)"
After 3 years since the last album, Finnish Folk Metal Superstars KORPIKLAANI offer their 10th album titled »Kulkija« (“Wanderer”), set for a September 7th, 2018 release. Concluding 14 (!) tracks, »Kulkija« is their longest album, but also their most natural sounding one to date. “That’s what you can clearly hear. It’s closer to how we sound on stage, and we’ll be able to play all new songs live, that’s for sure,” explains Jonne. For tracking, the band members mostly used their current tour rig.